You’ve likely come across your fair share of stuffed mushroom recipes online. Rightfully so, they make the ideal appetizer for any occasion being quick to prepare and they taste amazing. This recipe is pretty simple using only 4 ingredients, but it’s so flippen’ good. I originally made these using a sweet Italian ground sausage log from https://www.jimmydean.com/?cid=jimmydean:ps:psl:ms:42736:2538 and they were heavenly. 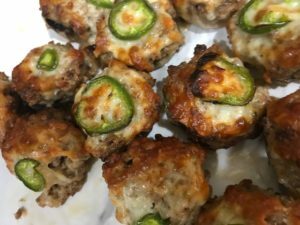 I’ve made them using a spicy sausage, which ended up being my husbands favorite. Today, I used spicy turkey sausage from https://www.jennieo.com Using turkey will probably cut the calories in half, opposed to the pork sausage, but who’s counting calories with all that delicious cheese we’ll be adding. Trust me, these poppers will be a huge crowd pleaser and you’ll need them in your life this Sunday while cheering on our New England Patriots. To start you’ll have to remove the uncooked sausage from the casing. 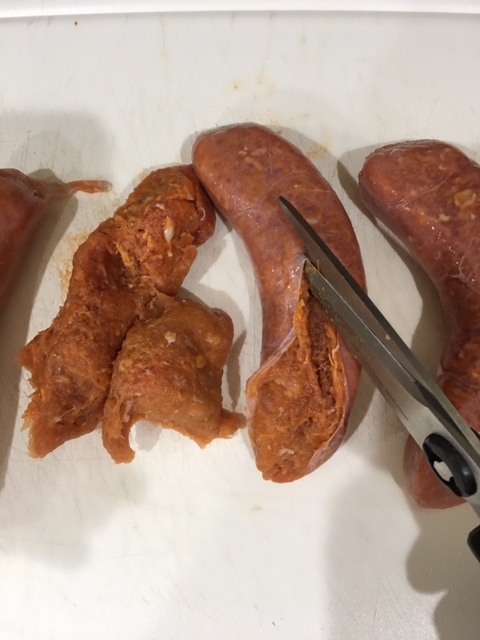 Using a sharp knife or a pair of kitchen scissors, cut the sausage along the top of the link, end to end. Grab the split casing on one end with your thumb and forefinger and pull back the casing and discard it. You just won the sausage war! To clean the mushrooms, use a damp paper towel and wipe each mushroom removing any dirt. 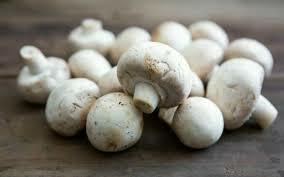 You can lightly rinse them with cool water and pat dry with paper towels, but do not soak the mushrooms. They absorb water like sponges and will change the consistency of this recipe. To remove the stem of the mushroom, gently grab hold of the stem and pull it outwards while twisting it. Discard the stems, unless you’d like to add them to the recipe. Option: If adding the stems, make sure they’re finely minced and added to the skillet while cooking the sausage. 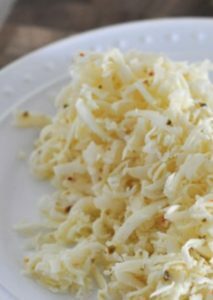 I had a hard time finding shredded Pepper Jack cheese, its out there, I just couldn’t find it at the grocery store I was in. I ended up purchasing a small block of pepper jack and just shredded it myself. Feel free to add this directly into the sausage mixture as well if you’d like.. I mean at this point, who’s counting calories! Preheat oven to 400º and wrap a baking sheet with aluminum foil. Arrange the prepared mushroom caps on a baking sheet and set aside. Add the olive oil to a large skillet over medium-high heat. Once warm, add the sausage and use the back of a wooden spoon to help break apart the meat. Cook the sausage for 8 to 10 minutes stirring frequently until there’s no pink showing. Add the garlic and cook for another 30 seconds. 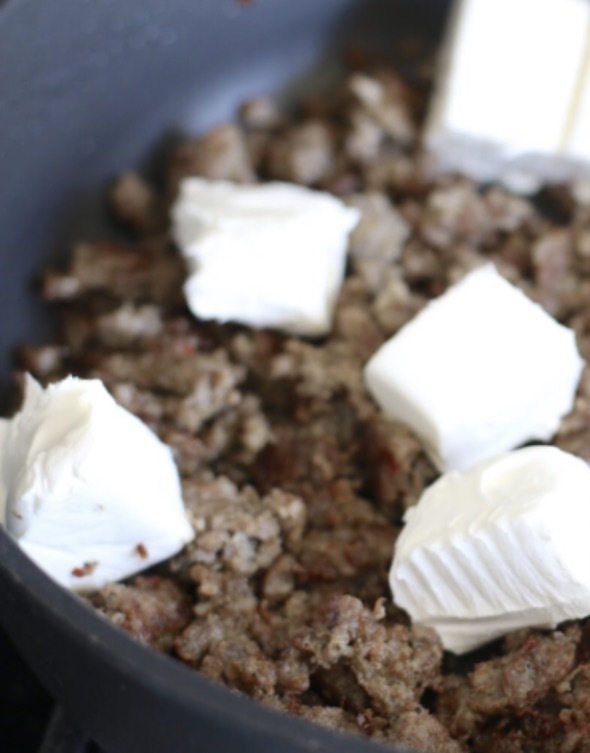 Remove the skillet from heat and gently fold in the cubed cream cheese. Add salt and pepper and continue to stir until melted and smooth. NOTE: Cream cheese can be a bit tricky to melt. If you use a sharp knife and cut it into small cubes, it becomes more manageable while melting in the sausage. Using a teaspoon, generously stuff each mushroom with the sausage and cream cheese mixture. Top each mushroom with a pinch of grated pepper jack cheese, and top with a thin slice of jalapeño. Bake until mushrooms are soft and the tops are golden, about 25 to 30 minutes. How ridiculously scrumptious do these look?! Let me know how you liked them! 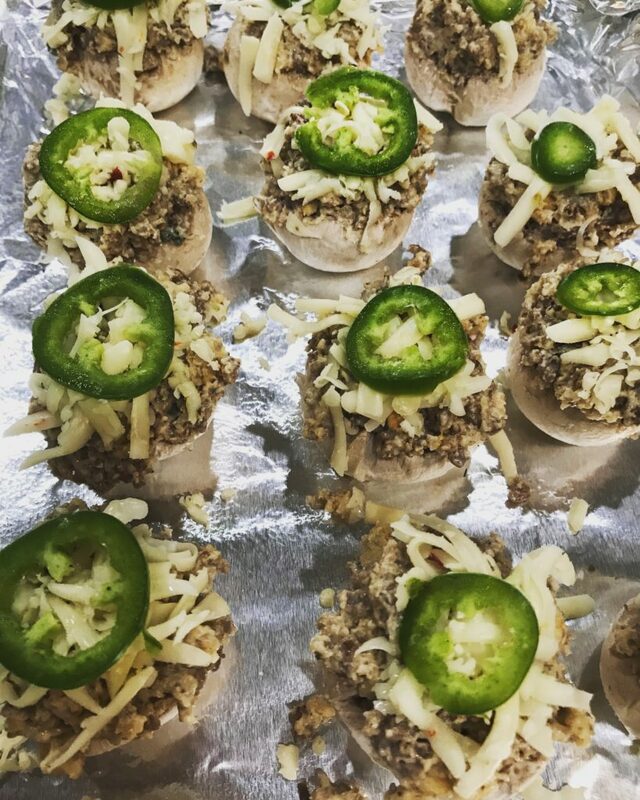 A mushroom filled with creamy cheese, spicy turkey sausage and topped with a jalapeño. Add the olive oil to a large skillet over medium-high heat. Add the sausage, crumbling it with the back of a wooden spoon. Cook the sausage for 8 to 10 minutes, stirring frequently, until it's completely browned. Add the garlic and cook until aromatic (another 30 seconds). Remove from heat and gently fold in the cubed cream cheese until melted and smooth. Generously stuff each mushroom cap with the sausage mixture. Top each mushroom with a pinch of pepper jack cheese, and a slice of jalapeño pepper.